From your air conditioner to your furnace and everything in between, you rely on your heating and cooling systems to keep you and your family comfortable in your home. When something goes wrong with your system or you want to purchase a replacement, you need to trust a professional HVAC company who will be there for you. Argent Heating & Cooling sells, installs, and services a comprehensive selection of heating and cooling systems. Learn more about our heating and cooling services in McLean. Argent Heating & Cooling provides generator installation, maintenance, and repair service to residential customers. Our expert technicians will accurately install your generator so you and your family will never be without power. Our technicians can also provide routine maintenance on your generator to ensure it keeps working for a long time to come. All generator installations are performed and serviced by our own in-house Argent certified technicians. Learn more our generator services in McLean. Heating in your home can come from unexpected sources – your floors, baseboards, and the ground! No matter how high you crank up the heat during cold weather, you may notice some rooms are just not warm enough to keep you comfortable. Installing a radiant heating system is a great and affordable way to keep your entire home warm enough year-round. Argent Heating & Cooling provides radiant heating installation in Maryland. Our certified heating technicians will install the right radiant heating system in your home to ensure you and your family stay warm. We offer radiant floor heating, baseboard heating, geothermal heating, and solar thermal heating systems! Learn more about our radiant floor heating services in McLean. You need to stay comfortable in your own home year-round, and it’s important that you have reliable heating systems to keep you and your family warm during cold weather. Hydronic heating uses hot water to heat different areas of your home. Hydronic systems such as water heaters and radiators are very effective heating systems, can help lower your energy bills, and are environmentally friendly. 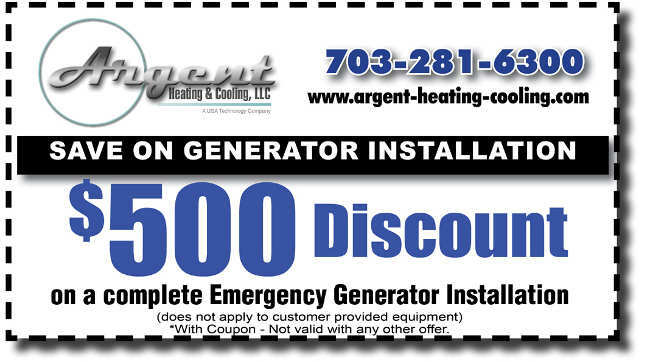 Argent Heating & Cooling provides hydronic heating installation and maintenance in Maryland. We offer water heater, tankless water heater, boiler, and radiator installation and maintenance as part of our hydronic heating system services. Our technicians install or repair your unit with accuracy and efficiency, so you can be sure you are receiving superior service and quality. Learn more about our hydronic heating services in McLean. Did you know that 90% of the average American’s day is spent indoors and more than 40% is in your home? Because you spend so much time in your home, proper ventilation, air cleaning, and humidity control can make a big difference in your comfort and health. Argent Heating and Cooling is proud to offer air quality evaluation in Maryland. The air quality experts at Argent Heating and Cooling can complete thorough evaluations of your indoor air system to determine your home’s air quality. Learn more about our indoor air quality evaluation services in McLean. Building a custom home or undergoing a home restoration is one of the most important projects you will ever complete. Every detail of your home has to be designed and built correctly to ensure not only your home’s beauty, but your family’s safety and comfort as well. Sometimes the most important design elements in a home are the ones that you cannot see. Custom homes and restorations require specially designed heating and cooling systems. It’s important that your HVAC systems and equipment is designed and built specifically for your custom home. This will ensure all of your systems work properly and help you avoid malfunctions or other mishaps. Argent Heating & Cooling’s technicians have years of experience installing the sophisticated heating and cooling systems that are required for custom homes and additions. We are also skilled at integrating systems into existing structures during historic restoration projects. Learn more our custom home and custom home and restoration Services in McLean. Having your system inspected and maintained on a regular basis is a good way to ensure everything keeps working and you can stay comfortable indoors. Our expert technicians can inspect your heating and cooling system for any malfunctions and make repairs if necessary. Customers who sign up for our maintenance plan receive a discount on service and priority emergency services. Learn more about our planned maintenance services in McLean. Argent Heating & Cooling, an HVAC installation and repair company in Vienna, Virginia has served the region for over 30 years. Our highly trained technicians are knowledgeable, passionate, and dedicated to your satisfaction. Custom homes or restoration projects require the utmost attention, care, and quality. This is why we will ensure your custom home has a heating and cooling system that won’t let you down. We believe in honesty, loyalty, and open communication, and we use these qualities to drive everything we do. Don’t put up with a faulty or broken heating or cooling system. Call 703-281-6300 for a free, no obligation system evaluation!